A Customer Car is used as a Taxi by Maruti Suzuki Dealership in India! 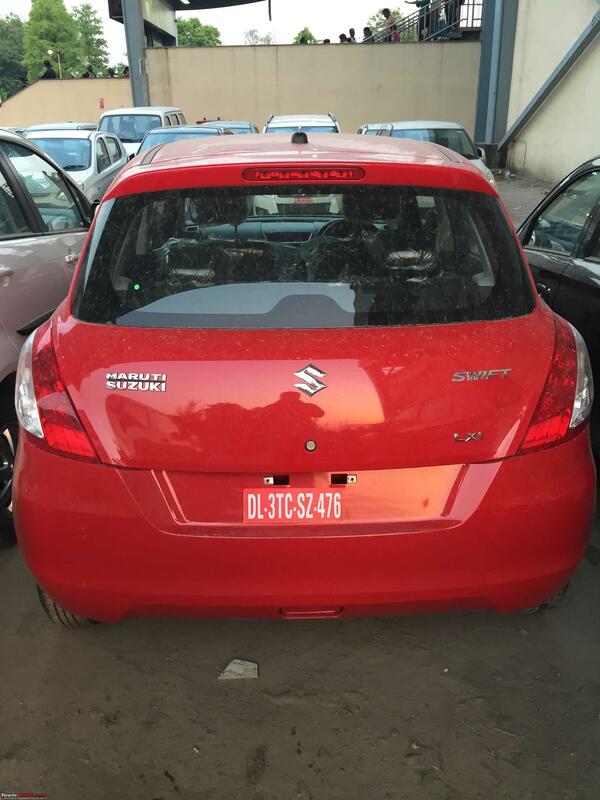 A forum user from Team-BHP found out that a Maruti Suzuki dealership situated in India was using a customer vehicle as a taxi! The author of these pictures saw a brand new Swift with red plates on the roads of Gurgaon. The vehicle was driven really harshly, so he asked his dad to follow the supermini. While they were following it, the author was taking photos. It was obvious that the vehicle was used as a taxi since it has stopped few times in order to drop and pick up people in exchange for money. In the end the driver arrived at a Maruti Suzuki parking space. The forum member went to a salesperson in the dealership and reported the situation. The representative of the dealership assured that the vehicle was in transit from storage facility to their exhibition room. It was stressed that the car had to be there the very next day. The watchful author of these pictures wanted to have a conversation with the manager. Unfortunately, the manager was not in the dealership and the salesperson did not want to provide his phone number.